Chamonix, the French resort nestled in the alps a mere 45 minutes from Geneva. With Mont Blanc towering above the bustling town, Chamonix is picture perfect and what sets it apart from other European ski resorts is its popularity in the summer as well as the winter. The resort is spread across the whole valley, made up of 4 main ski areas - Les Houches, Brevant, Les Grandes Montes and Argentiere. As with most ski resorts, the accomodation options are varied in both price, luxury and location. Without a shadow of a doubt, the best area to stay in is Chamonix town centre. There are plenty of self catering apartments available and if you're part of a group this is probably the most affordable lodging available. 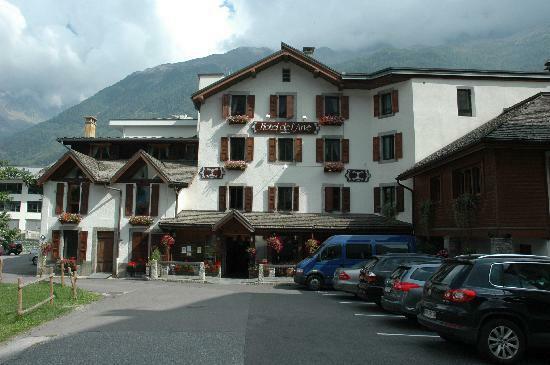 If you're after a hotel, we can recommend the Hotel L'arve and Hotel Le Chamonix. Neither will break the bank and both are perfectly located. If you're planning your trip in the summer we would probably sway towards the Hotel L'arve for it's location on the river front and the opportunity to eat your breakfast outside or enjoy a glass of rose on your balcony. During the winter months Chamonix is focused on skiers and snowboarders and experienced ones at that. If you're a beginner you'll want to head to Argentiere for gentler slopes and forgiving conditions. For the experts among you, the world is your oyster. Chamonix thrives on thrill seekers and those seeking steep terrain and deep powder. During the summer the choice of activities is huge - hike in any which direction for beautiful views, take the train up to the glacier or for a bit of adventure go parapenting or mountain biking. Parapenting is around 100 euros for a 20 minute flight. Mountain bike hire is available from 25 euros a day. If you need all the padded clothing and a high performance bike you'll be looking at closer to 50 euros. Ask in the shops for trail maps and advice on where to go. If you want to take a lift up the mountain and do some downhill racing you'll also need a lift pass which is around another 30 euros. Although there is a healthy local population that lives here all year round, Chamonix is a holiday resort in the alps at the end of the day so restaurant prices aren't cheap. Having said that, the quality of the food is excellent. Among our faves are Caveau - in the cellars near the post office the cheesy garlic bread is awesome as a starter and the croute with a green salad is delicious if not heart attack inducing. Beware, the starters here are HUGE - share one or avoid them alltogether if you want to enjoy your main! Casa Valerio, along the river on the way to Chamonix sud serves delicious Italian fare. Affordable pasta and pizza dishes are full of taste and will leave you full as well! If you're looking to eat outside in the summer, Bar Brasserie Grill just across from La Terrasse does a special offer at lunch - set menu of 3 courses for 19 euro - can't be beaten. If you're looking to treat yourself go for the fondue at Le Chaudron. If it's breakfast you're after, Le Petit Kitchen is the best place to fight a hangover with a full english. Beer is cheap in France and wine is even cheaper. If you're on a budget, a glass of wine in a bar or a caraffe in a restaurant it definitely the most economical choice. Spirits and cocktails are where bars and restaurants make their money. Chamonix is full of lively drinking holes. The most famous, La Terrasse, takes advantage of it's central location and a live band draws people in from the streets on most evenings. Most bars in town offer a happy hour between the hours of 4 and 7 and one of the most popular is Chambre Neuf by the train station who serve half price cocktails and always have a fantastic live band. MBC is a short walk from the centre of town and offers something a little bit different with its own, on site micro brewery. They also serve food and bar snack s- wings are cheap on a Monday night and Nacho's are a favorite if you've worked up a hunger during the day. Later at night Bar D'up is always busy and stays open until 2am. There's usually some form of live music or karaoke and a table football and pool table keep everyone entertained. If you're looking for a boogie your best bet if Le Garage but ask in one of the bars for the best late night recommendations as every night is different in Chamonix. If you're in Chamonix for a while, there are some good day trips to be done. Whiz through the Mont Blanc tunnel for a day in Italy and explore the gorgeous town of Cormayeur. The skiing over there isn't half bad either. Further up the valley, there's another border to cross taking you into Switzerland and the exclusive resort of Verbier. More interesting in winter than it is summer, the skiing is set up for those seeking extreme back-country. If the forecast is looking good, make sure you plan a road trip.